Are you having a hard time justifying the cost of Apple’s new $5,000+ iMac Pro? If you’re willing to part with the computer’s matching Space Gray-colored keyboard, mouse, and trackpad, which are only available with the desktop, you could sell them on eBay for obscene amounts and make some of your investment back. How obscene are we talking? 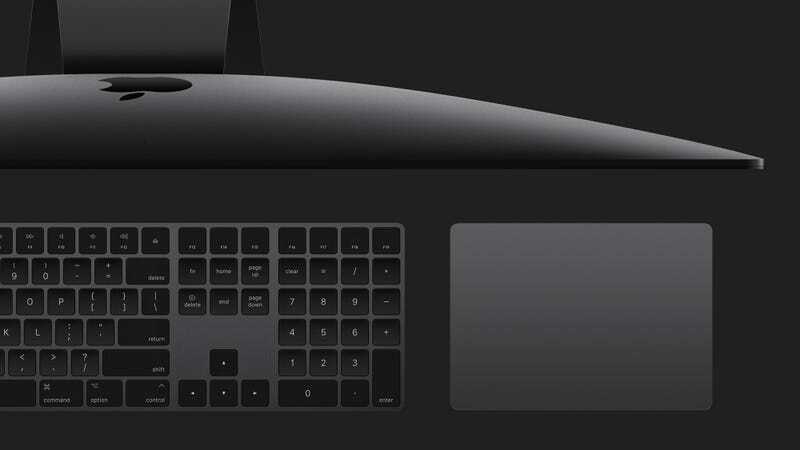 Buying the white version of Apple’s Magic Keyboard with Numeric Keypad, a Magic Mouse 2, and a Magic Trackpad 2 will cost you $337, but the exclusive iMac Pro Space Gray versions of those accessories sold on eBay yesterday for $1,525. Another auction shows the same rare hardware trio with a ‘Buy It Now’ price of $1,750. Others have sold at lower—but nevertheless inflated—prices, like $500 and $635. Just after Christmas, one eBay seller listed the accessories at a jaw-dropping $2,500, but that listing is now marked as “Ended” without indication of a sale. Some of the sellers have also included a matching lightning cable, which comes bundled with the desktop machine. Apple has long cultivated a base of die-hard fans obsessed with the aesthetics of their hardware. Just look at how many iPhone users are willing to live with a big notch on the top of their screen just so they can own the latest and greatest version of Apple’s smartphone. As Apple ships out more iMac Pros, more of these accessories are bound to show up for sale online. So if you’re hoping to subsidize the cost of a new iMac Pro by unloading its bundled hardware, you’ll probably want to take the plunge sooner rather than later. Does the iMac Pro Finally Please the Pros?